Searching for professional commercial low slope roofing installation in the Sumner, WA area? End your search for commercial low slope roofing service with Johnson Exteriors. We are a team of experts who have the knowledge and experience of all types of roofing installation and replacement. We feel proud to offer our service to our valuable customers. Customer satisfaction and support is our utmost aim. Contact our well-trained staff to get trusted roofing service for your commercial project. 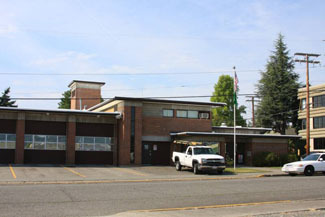 Proper commercial low slope roofing in the Sumner area and single-ply roofing services are also available. 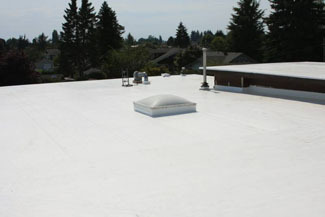 Around Sumner get quality commercial single-ply roofing from us. Book our reliable services for a commercial single-ply roofing system that will meet all your needs. As we know your roof is the essential part of your commercial property, repairs and replacements related to your roof should be taken very seriously. Timely maintenance will not only increase the life of your roof but also boost up the value of the property. From commercials single-ply roofing to commercial low slope roofing, we know how to handle any project professionally. The popularity of single-ply roofing systems in the commercial arena has only grown over the years. Single-ply roofing systems can adhere to unconventional roof designs common to most modern-day architectural designs. 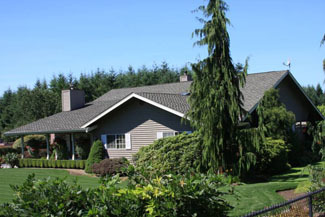 Want to upgrade your single-ply roofing systems in the Sumner area? Looking for single-ply roofing systems? Then you are at right place. We are one of the reliable roofing installation service providers. Our professionals are always ready to enhance the value of your roof with the help of our quality repair and replacement services. For commercial single-ply roofing and installation services with the best in customer service, give us a call. Looking for commercial low slope roofing or commercial single-ply roofing installation services in the Sumner area? Call Johnson Exteriors at (360) 226-2521.